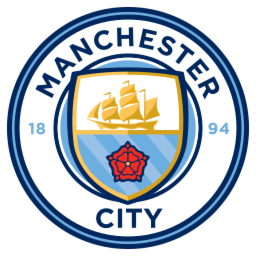 Manchester City Football Club were formed in 1880. They were known at the time as St Mark's (West Gordon). 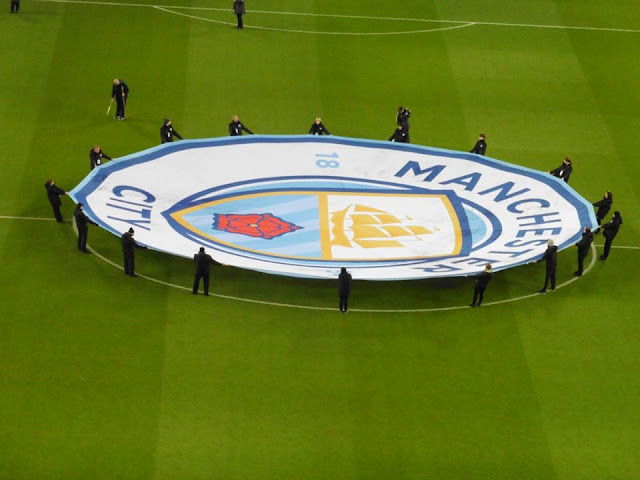 14 years later they were re-named as Manchester City Football Club. 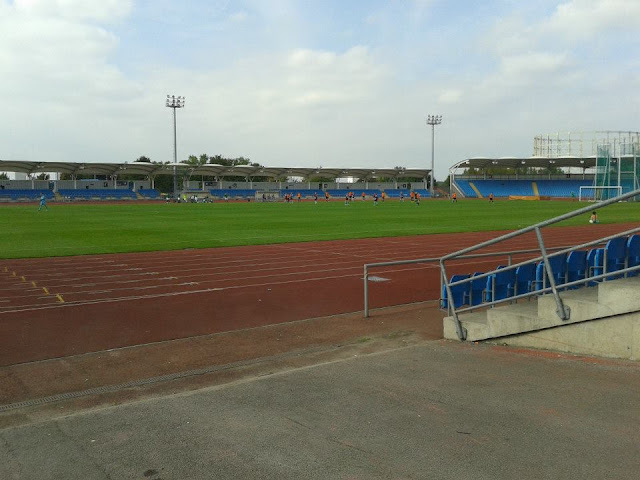 The club first played at Hyde Road. 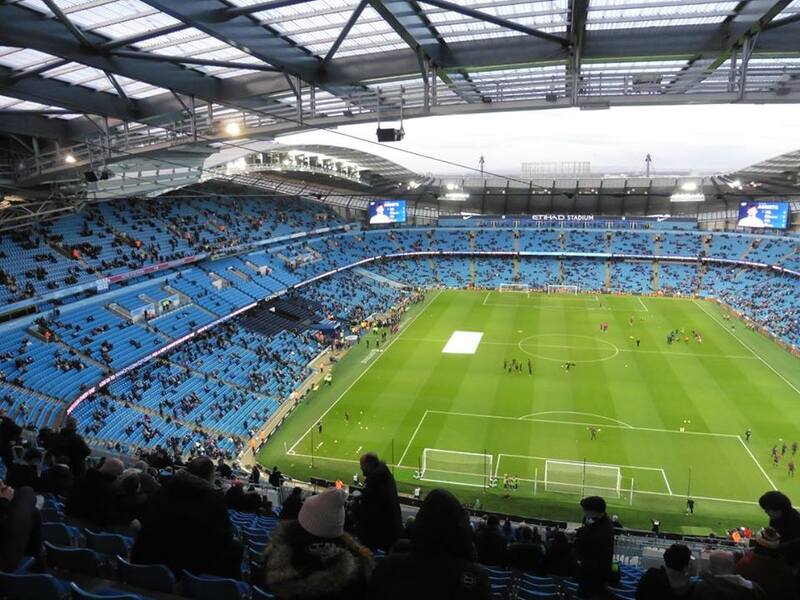 It was built in 1887 and held around 40,000. A section of the ground at Hyde Road from then is still being used to this day, at The Shay which FC Halifax Town currently play at. 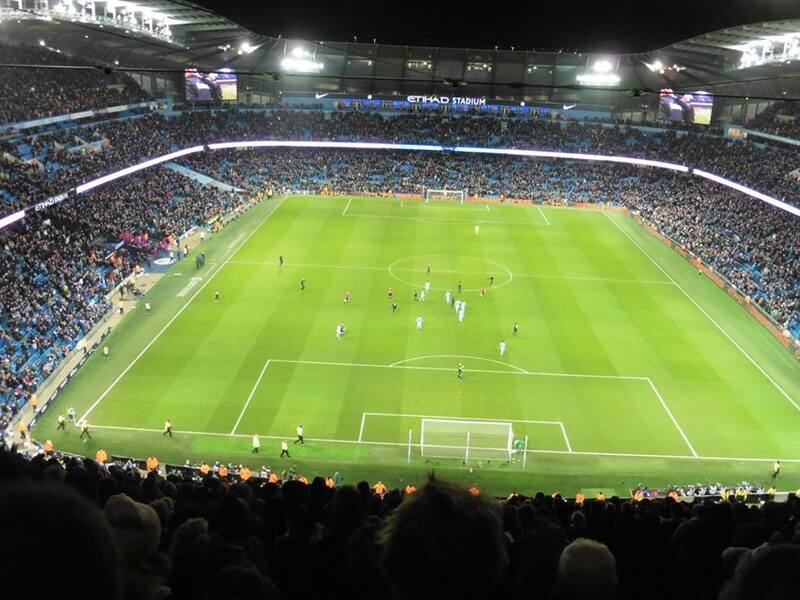 The club left Hyde Road in 1923 and moved to Maine Road. The club moved to Maine Road in 1923 and played there for 80 years until 2003. 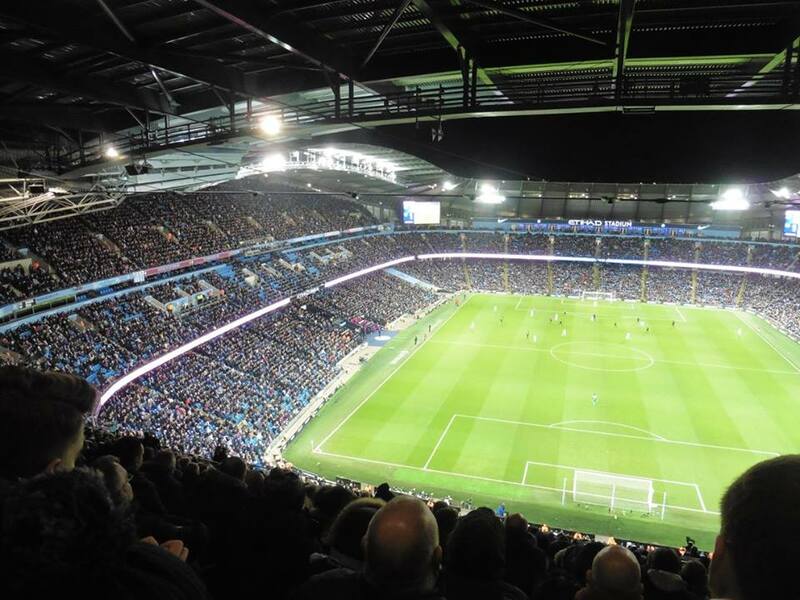 The club's biggest capacity at Maine Road was over 84,000 but by the time they were in their final years at Maine Road, the ground's capacity at Maine Road was 35,150. 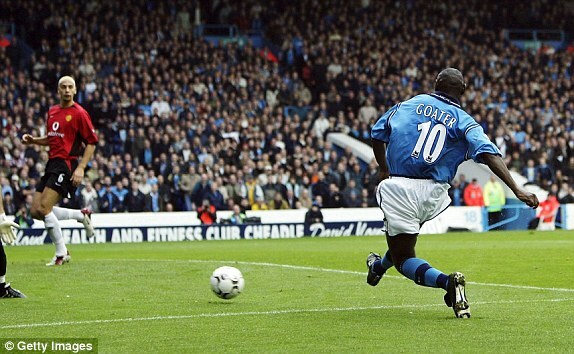 Manchester City's last ever game at Maine Road was against Southampton in May 2003. 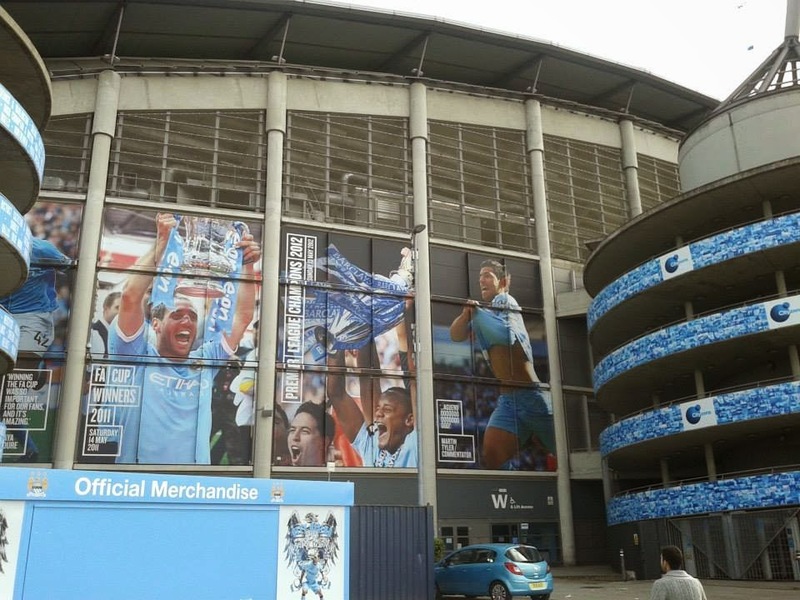 The club lost 1-0 with Michael Svensson scoring the last ever goal at Maine Road. 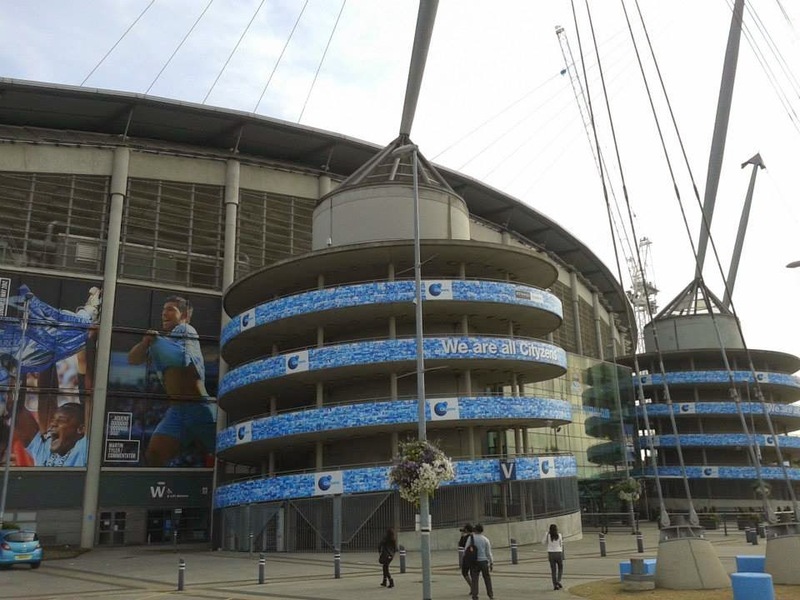 The club moved to the brand new City of Manchester Stadium in 2003. 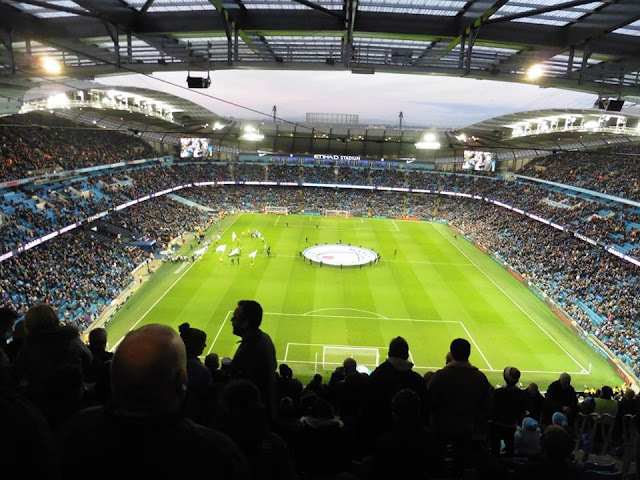 Built for the 2002 Commonwealth games, the ground has held the 2008 UEFA Cup Final, England International games, Rugby League matches and a Boxing World Title fight. 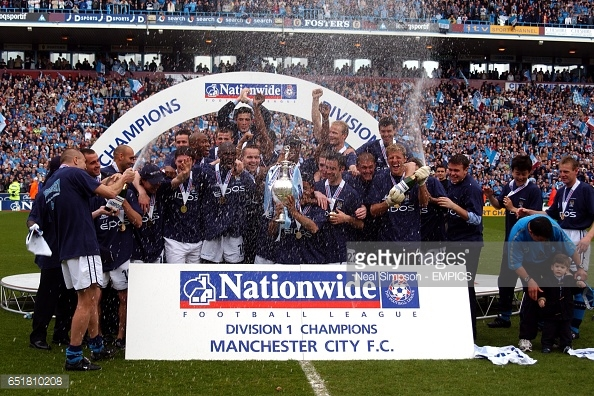 Manchester City got promoted to the Premier League in the 1999-2000 season after winning on the final day of the season. 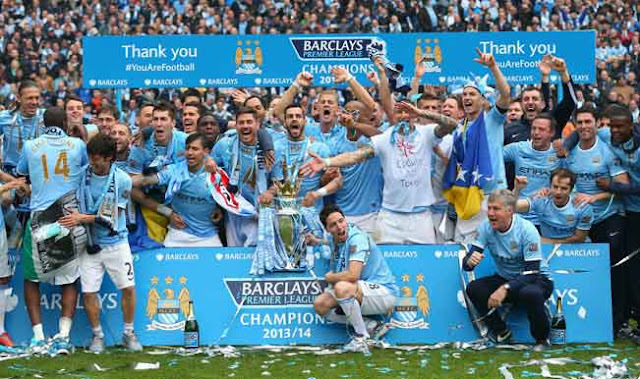 Sergio Aguero is the well known man who scored the winning goal on the final day of the 2011-12 season after scoring an injury time winner against Queens Park Rangers to win 3-2 to seal the Premier League title, the 1st Premier League title in the Premier League era. At the time both City and their rivals Manchester United were tied on points. 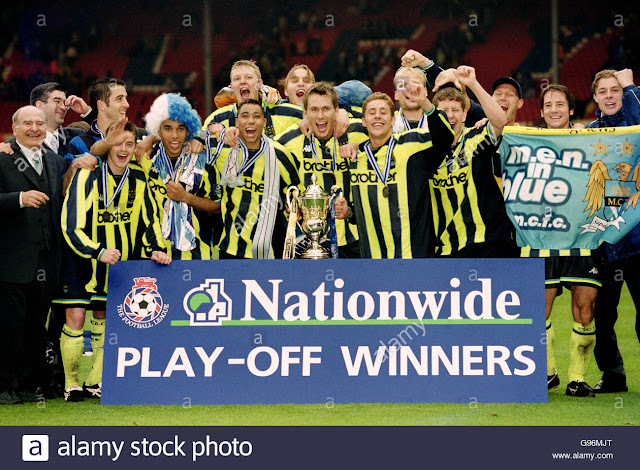 Manchester City are also known for their comeback in the 1998-99 Division 2 Play Off win against my team Gillingham. 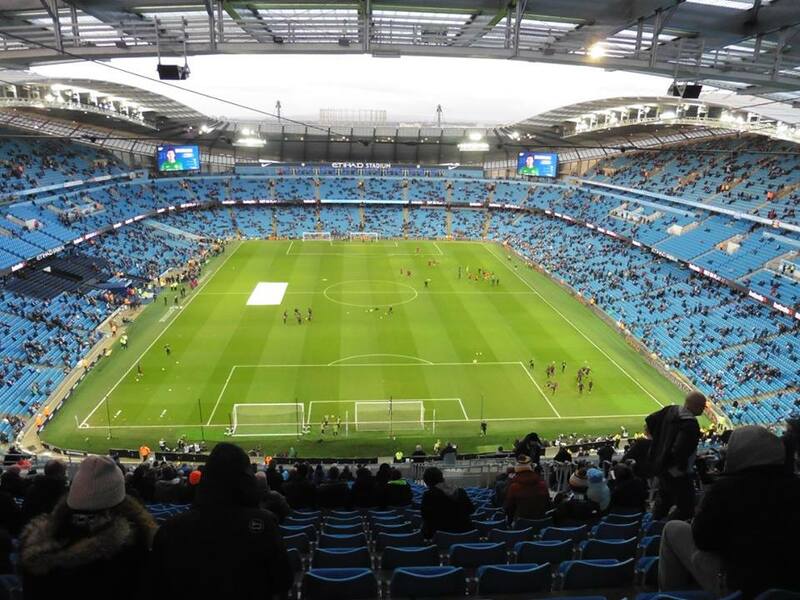 After going 2-0 down, they came back to 2-2 and then later won on penalties. To this day, sadly it still gets mentioned! 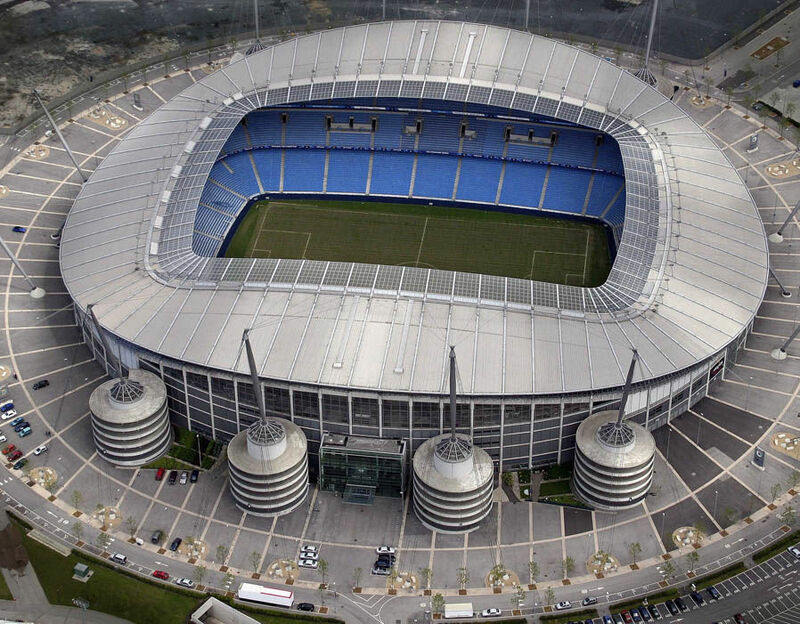 Manchester City have been playing at The Etihad Stadium since 2003. 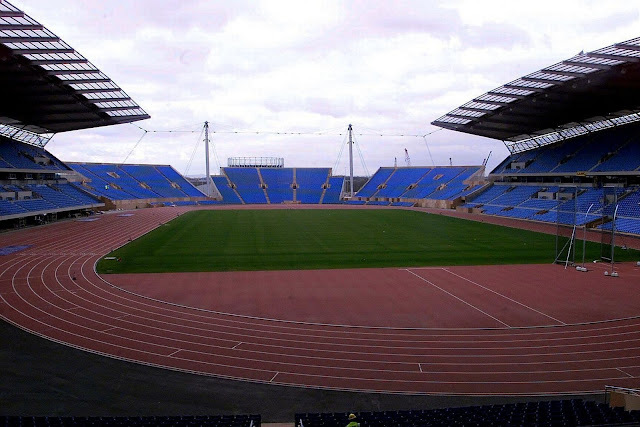 Also known as The City of Manchester Stadium, the ground was built for the 2002 Commonwealth Games, (pictured below) originally the ground held 41,000 but since then the ground has been increased. 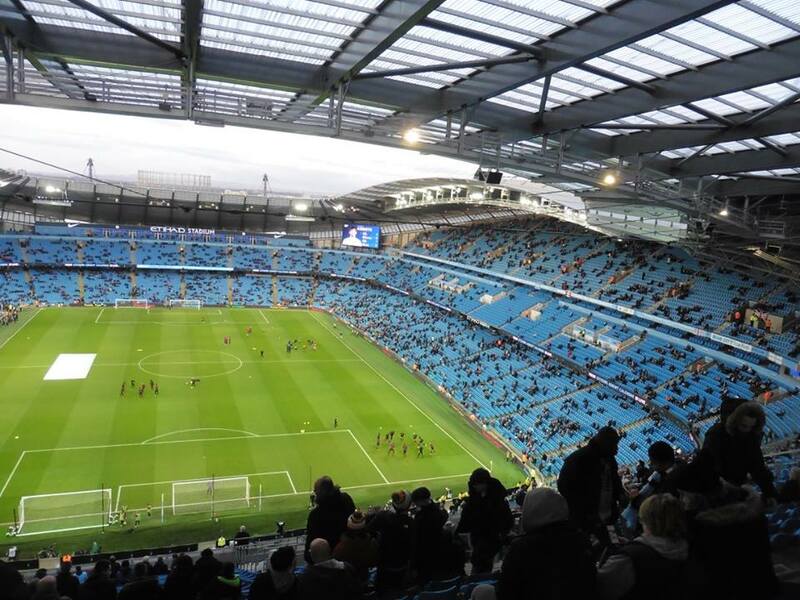 City also previously played at Maine Road and played there for 80 years (1923-2003) the ground now holds just over 55,000. 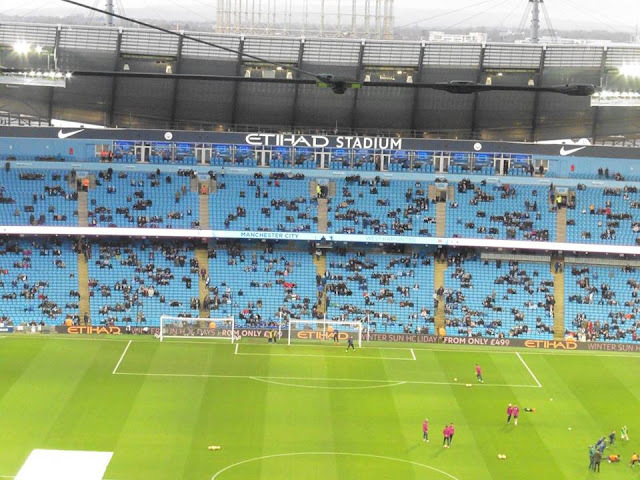 Away supporters are housed on one side of the South Stand located behind the goal. There are 3 ways of getting to the ground by train, by Manchester Metrolink tram, City have their own stop which is Etihad Campus. By train, Ashburys train station is about a 15 minute walk away, and from Manchester Piccadilly is about a 25-30 minute walk. 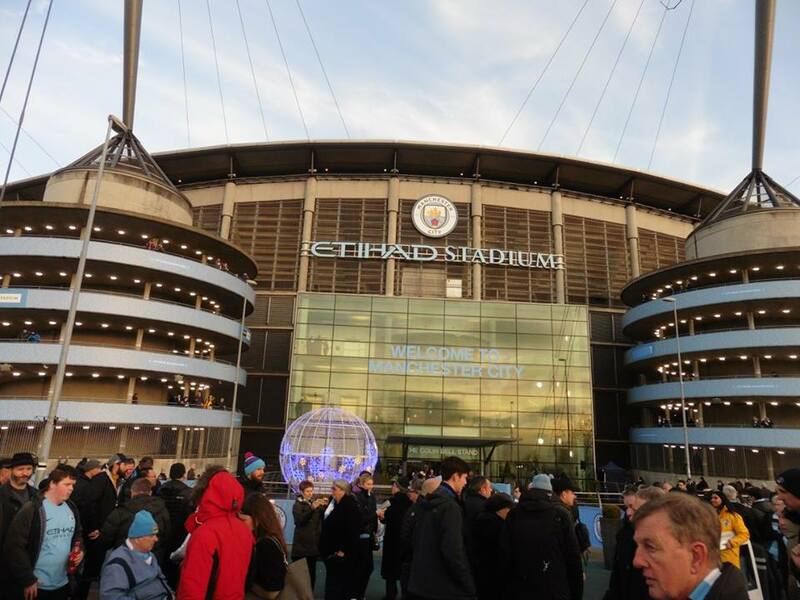 My 1st visit to The Etihad came in December 2017 just before Christmas. 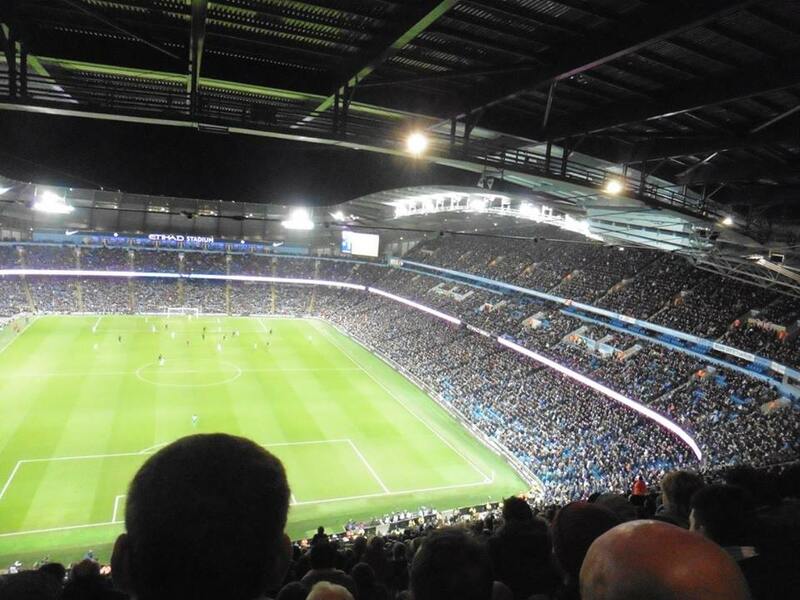 I was quite lucky with this one as when I booked the tickets, I then realised it was the 2nd round of the FA Cup weekend! Gillingham got through to the 2nd round and I was praying we would get an ok draw and for that game to be on the Saturday, or otherwise I would have been screwed. Luckily we got drawn with Carlisle United at home and after seeing Gills put a tweet up saying "Confirmed: Gills will play Carlisle United on Saturday 2nd December, 3pm kick off." to say the least, I was mighty relieved! So, a whole weekend of football fairly near to Christmas, I was quite happy with haha. I had previously visited The Etihad before only to take pictures when Gills were away to I believe it was Oldham which isn't a million miles away from Manchester. This one was quite a fairly expensive trip up, £45 for a ticket but in all fairness it was a ground I needed to do anyway. I woke up just before 9am and left home just before half 9. Arrived into London, and a Northern tube ride to Euston, I arrived in plenty of time, before I heard an announcement saying there aren't any Virgin trains running today which did worry me a bit. I found out there was cancelled trains due to emergency engineering works in the Wembley area which caused all trains to be cancelled, then I noticed that trains were suspended till 12pm. So of course my booked train to Manchester Piccadilly from Euston at 11.20am was cancelled. Luckily the next one still got me into Piccadilly on time, leaving Euston at 12.17 then to arrive into Piccadilly just after half 2. Then that changed just shortly as that train was then only to go as far as Milton Keynes Central, and I did start to think I wasn't going to be able to get to Man City which did annoy me a bit. But then a woman on the announcement said the 12.17 is going to Piccadilly and announced a platform number, so of course as Euston is already packed as it is, everyone started to rush, and I literally sprinted to get on the train, considering I'd be standing around for about an hour or more. 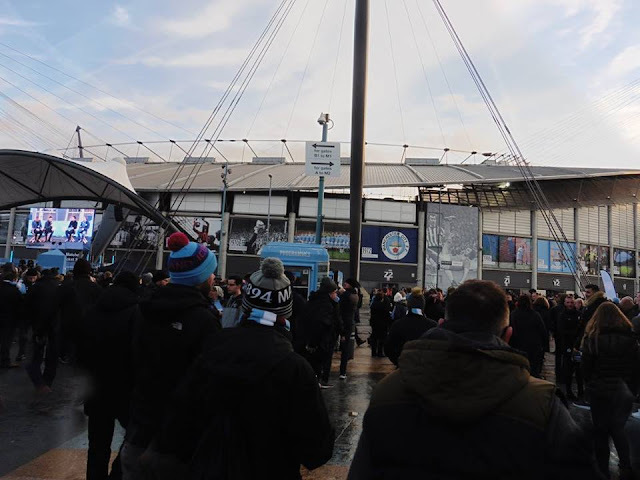 So, luckily I got on the train and got a seat, a slight delay of 15 minutes or so, I arrived into Manchester Piccadilly at around 2.45pm with a hour and 15 minutes till kick off, which I was quite relieved about. I was debating whether to get a taxi or the Metrolink, but in the end as I had a bit of time to spare, I got the Metrolink to Etihad Campus, about an 8 minute journey, and I arrived to the ground around 3.10pm. Got myself a programme and then headed for the turnstiles and went in. Got into my seat and was really impressed with the view. I had a few people say to me I would be impressed with the ground, and it didn't disappoint one bit. Although £45 for a ticket was steep, but at that price it wasn't too much of a surprise. 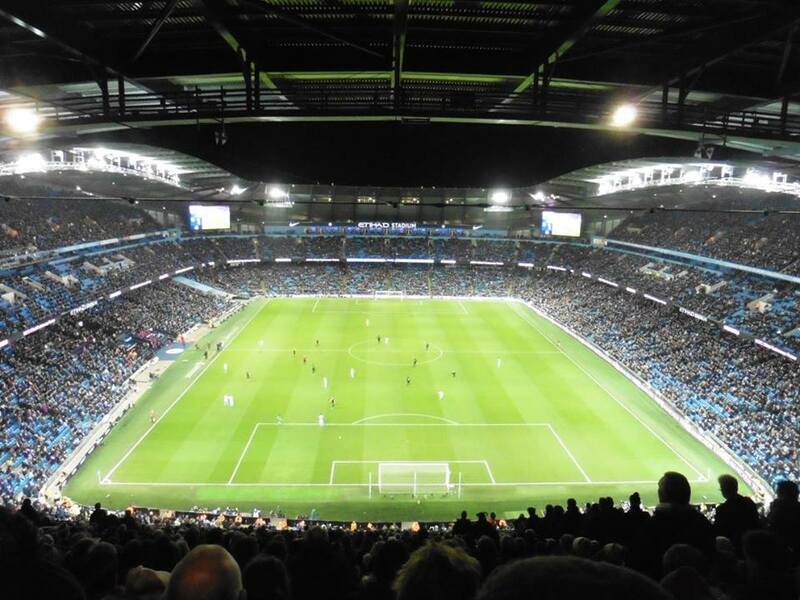 A great view and a great stadium to visit, I would recommend visiting The Etihad. 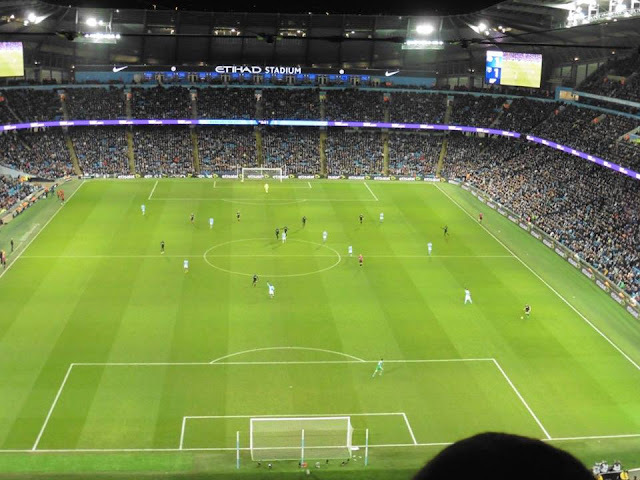 The game itself was fairly flat in the 1st half, City had a lot of the possession but just couldn't finish. 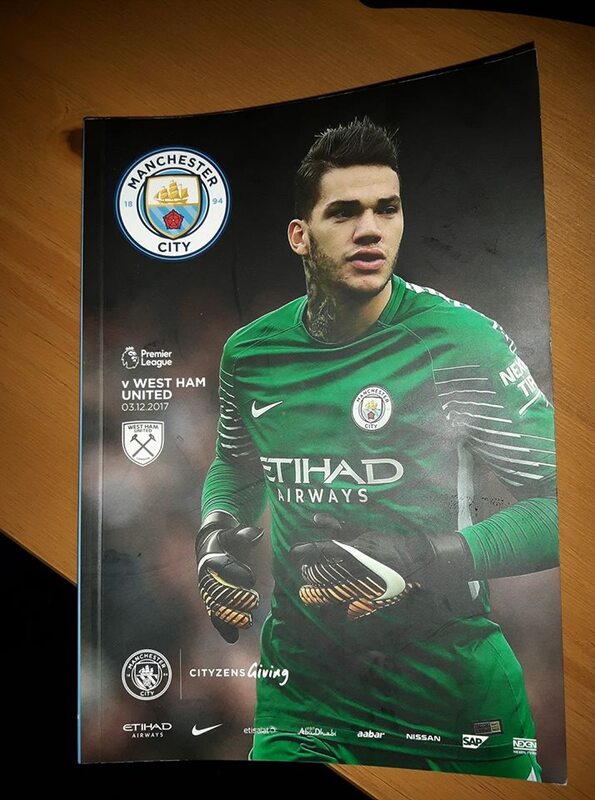 West Ham pretty much had 10 men behind the ball and frustrated City a lot, even Adrian West Ham's keeper pretty much time-wasted in the 1st half which was annoying. West Ham took the lead just before half time with a good header from Angelo Ogbonna to put the visitors in front, with the score at half time, Man City 0-1 West Ham. 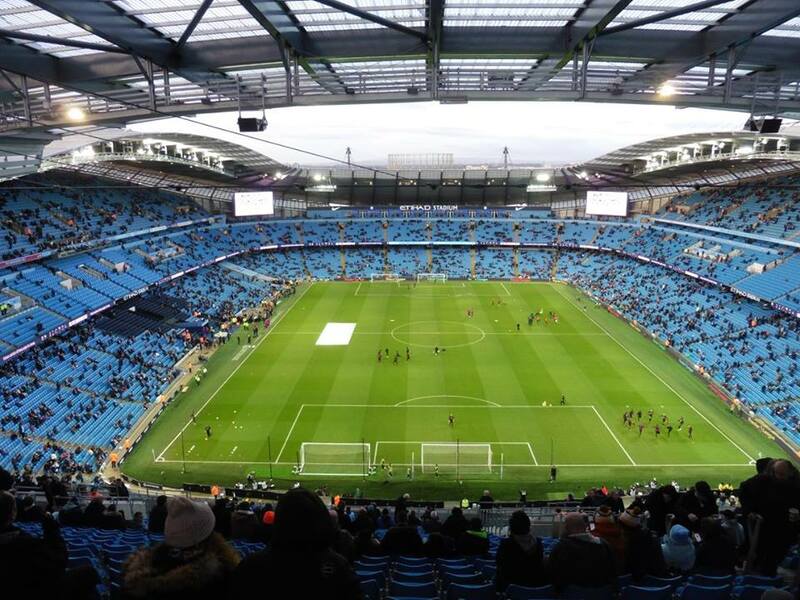 I was quite surprised and shocked as before the game I was expecting City to win at least 3 or 4-0 but then again football is a funny old game at times. 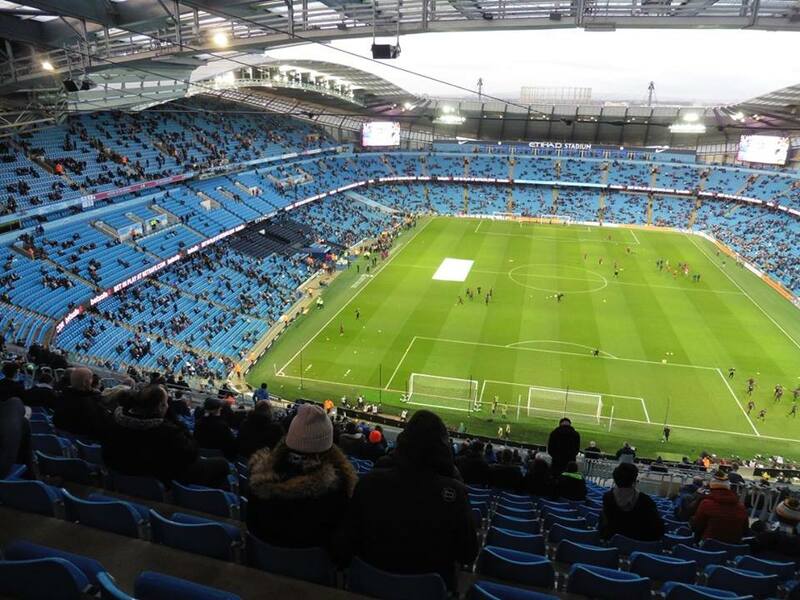 City changed things at half time as Gabriel Jesus came on for the hosts and the game did change quite a bit then. 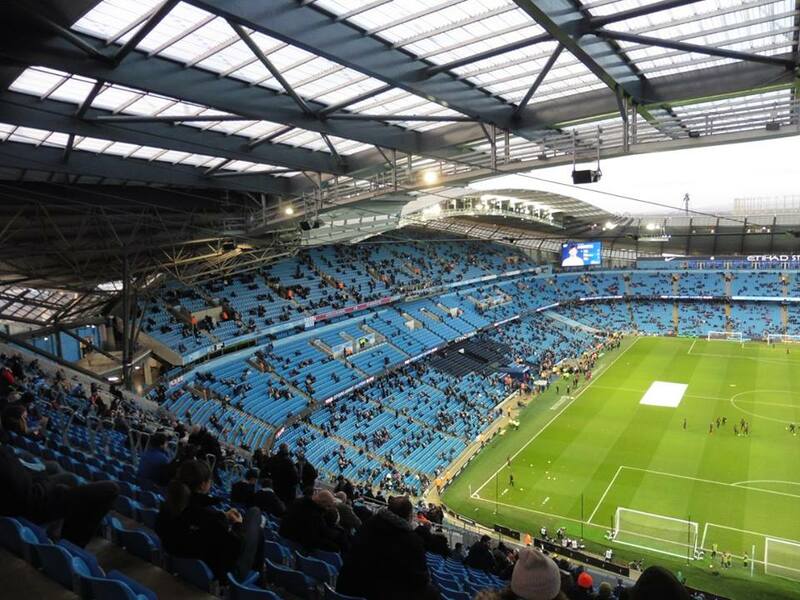 City equalised after Nicolas Otamendi after 57 mins which in the end was deserved and David Silva got the winning goal after 83 minutes, another game they left late on to get all 3 points. Overall a good day out, and another ground off the list. 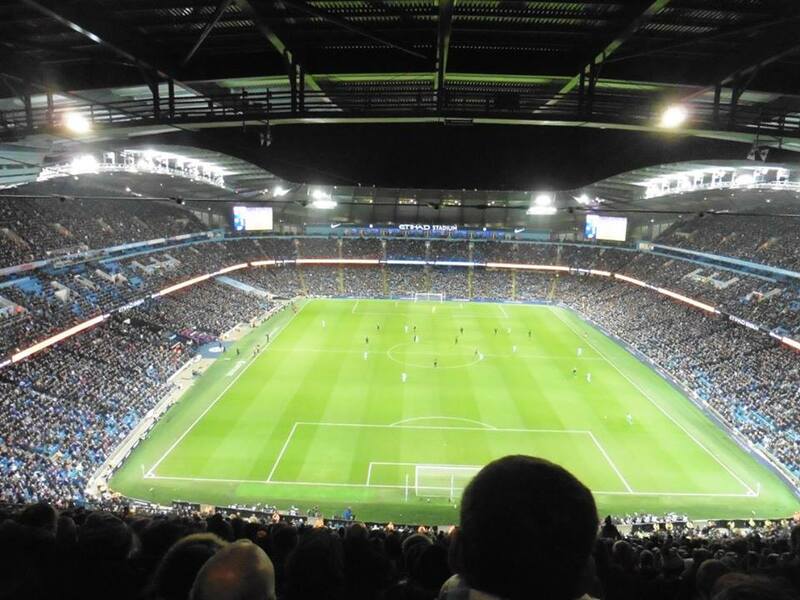 80/92 League Grounds done now, 12 left. Got back to Piccadilly just before half 6 and with only a 25 minute wait for my train, I left Piccadilly at 6.55 and arrived home after half 10. Currently where Manchester City's reserves play, next to the Etihad.